Instant Car Donation was founded with the goal of bringing donors and local charities together with an efficient and pleasant process. You can focus on deciding which of our respected charities is right for you instead of worrying about difficulties of researching how to make a donation. After your free pickup, we will assist you in recieving the best tax benefit possible for your generous gift. We take pride in helping smaller charities easily receive car donations, bringing people together while helping support those in the Leawood, Kansas community who need it the most. Here are some of our favorite charities in the Leawood area. We have made sure each of them are eligible for tax deductions when you help your local community by donating your car. Your values and choice can make a difference. The American Academy of Family Physicians Foundation serves as the philanthropic arm of the American Academy of Family Physicians. Its mission is to advance the values of Family Medicine by promoting humanitarian, educational and scientific initiatives that improve the health of all people. Through its humanitarian programs, the AAFP Foundation strives to improve health, provide medical education, and foster the development of family medicine worldwide. The Foundation's Scientific programs support medical research through grant awards and seminars for residents and students. The Foundation's programs also include education programs; support for the Family Medicine Philanthropic Consortium (FMPC), and support for the Center for the History of Family Medicine (CHFM). Harvesters - The Community Food Network is the regional food bank serving Kansas City, Topeka, and the surrounding area. Our mission is to feed hungry people today and to end hunger tomorrow. As a clearinghouse for the collection and distribution of food and related household products, we've been helping people in need since 1979 by: collecting food and household products from community and industry sources; distributing those products and providing nutrition services through a network of not-for-profit agencies; offering leadership and education programs to increase community awareness of hunger and generate solutions to end hunger. Our network includes more than 620 not-for-profit agencies throughout our 26-county service area, including emergency food pantries, soup kitchens, homeless shelters, children's homes, homes for the mentally disabled and shelters for battered persons. Jewish Family Services of Greater Kansas City (JFS) is the place to turn when dealing with both crises and life's everyday challenges. With a highly-skilled and compassionate staff, JFS is available to help you make life more manageable. We were founded upon the Jewish value of preserving the well-being, comfort, and dignity of others. We always respect the confidentiality of our clients. While our priority is to serve the Jewish community, the Jewish value of Tikkun Olam (repairing the world) inspires us to serve all people, in fact over half of the 5,000 people we serve each year are not Jewish. We dedicate ourselves each day to providing peace of mind and a better life for everyone we serve, regardless of age, race, ethnicity, religious affiliation or economic situation. The Jewish Federation of Greater Kansas City works to sustain and enhance Jewish life at home and around the world. Everywhere. Everyday. Our Vision: No one suffers the full effects of Polycystic Kidney Disease. The PKD Foundation is a non-for-profit organization dedicated to fighting polycystic kidney disease (PKD). The mission of the Foundation is to promote programs of research, advocacy, education, support and awareness in order to discover treatments and a cure for polycystic kidney disease and improve the lives of all it affects. To fulfill our mission and discover treatments for PKD, the PKD Foundation has launched an integrated research initiative focused on "Accelerating Treatments to Patients," which is designed to speed up the development of treatments for PKD. Key components of this initiative include drug repurposing, targeted research grants, tissue donation, clinical trials and much more. In addition to funding research and educational programs, the PKD Foundation provides a forum for patients, family and friends through more than 60 volunteer-led Chapters across the country. Planned Parenthood of Kansas and Mid-Missouri has provided access to reproductive health care to women and families since 1935. Our mission is to ensure that every individual has the knowledge, opportunity and freedom to make informed private decisions about reproductive and sexual health. We provide medical services including family planning and contraception, education, pregnancy testing, pregnancy counseling, HIV testing, treatment of sexually transmitted infections, detection of cervical, breast and testicular cancer, and vaccinations for hepatitis and cervical cancer. Planned Parenthood of Kansas and Mid-Missouri seeks a world in which every child is wanted and cared for, every decision regarding sexuality is personal and informed, and everyone has access to affordable, quality health care. Founded in 1978 Rose Brooks Center is a comprehensive domestic violence agency that provides a full continuum of care including prevention programming, crisis intervention and other supportive services to thousands of women and children each year. Today, Rose Brooks Center offers an emergency shelter for up to 75 women and children, a violence prevention program in 37 schools, a hospital advocacy program located in six area hospitals, a children's therapeutic program, court advocacy, outreach counseling and a Transitional Housing Program. All programs are offered from one site helping to provide victims of domestic violence a full continuum of care to heal and become independent from violence. There are many charitable institutions, such as Jewish Family Services of Greater Kansas City, in your Leawood, Kansas area which may benefit from your vehicle donation. We not only help you donate to a nearby charity, but we also concentrate on supplying regional non-profits that are small with an simple way to accept donations so that they can concentrate on their work that is important. Often the donation will make the largest difference for such non-profit organizations, like Jewish Federation of Greater Kansas City, while helping encourage those in their Leawood community who want it the most, bringing together individuals. Car donations are the method for folks to make a sizable contribution. Due to this, one of their aims is to empower those making such a benevolent choice by ensuring that the car goes to the charity that represents their values. We always make charity decision an integral part of the procedure when donating together with us. Should you want us to decide which charity would be helped the most we can do this. It is important to Instant Car Donation which you receive the greatest tax deduction advantage without needing to navigate complexities or execute research possible. We pre-qualify all our participating 501-3C non-profit charities to verify your donation will be tax deductible. The process will be streamlined for both you and the charity of your own choice. We'll help a 1098-C tax form to you following your finished contribution. In case you've got a charity in mind you would like to contribute to, you can donate with us. While there are lots of benefits to charities that receive donations from people, the advantages to the you, the donor might not be too clear. The largest benefit which the majority of people hear is the opportunity for a tax deduction. This usually means that the resale value of the given vehicle can be written off in your tax return. There are a few limitations on this type of deduction, so you could want to speak with a tax professional prior to making the donation. Another advantage of donating a used auto to charity would be your chance to just eliminate the vehicle without having to attempt to fix or sell it. Most charitable vehicle donation programs will except vehicles if they're running in need of repair. Car donation programs are becoming more popular in Kansas over the past decade or so, as more charities are looking for new and innovative ways to generate funds. Today, the amount of charitable car donation programs numbers in the hundreds or even tens of thousands. If you have a favourite Leawood charity you prefer to make contributions to, it is probably possible for that charity to receive at least a part of the funds if you give your used car. Aside from the charitable tax benefit rather than getting the hassle of dealing with an old vehicle, the feeling of having the ability to help those in need may be the ideal reason to donate your car, like your Kia Niro, to a charity. Most used car donation programs will either sell your vehicle to increase funds for the reason, use the automobile in the daily operations of the company, or give the automobile, such as your Volvo S90, to a someone in need either for free, or even for under the average market value. Charitable car donation programs allow you to give your used auto to the charity of your own choice. Visit our charities page to find a charity in Kansas to donate to. When you decide to make a donation of a used vehicle, when the charity sells the automobile for over $500 they have to send you a receipt that lets you subtract the sales cost of the vehicle, such as your BMW X4, in your tax return. If the old car you made a decision to donate isn't worth at least 500 USD, then the IRS allows you to determine the fair market value. This is actually the value that somebody would be prepared to pay for the automobile, such as your smart Fortwo, if buying it from you. To be able to receive the tax deduction, you'll need to itemize your deductions on your tax return. You receive the tax benefit, and the charity gets to utilize the car, like a Honda Passport, or sells it and uses the profits for the benefit of the charity. That's a wonderful thing for everybody involved. Can there be a tax advantage for donating my vehicle in Kansas? We can guarantee your car, such as your Owosso Pulse, belongs to some non-profit organization that's qualified for tax deductible donations and assist you recieve a reciept on the donation. If you itemize your deductions you may be able to receive a tax advantage. For donations around $500 you can utilize Kelley Blue Book and also for bigger donations the non-profit organization must verify what they recieved to the auto donation (more information). 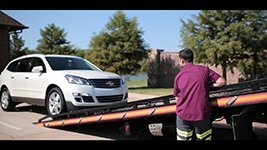 We will arrange a tow truck to come get your automobile and deliver it to the non-profit organization, like Jewish Federation of Greater Kansas City, of your choice. It couldn't be simpler now to assist the non-profit organization, like American Academy of Family Physicians Foundation, of your choice! Do you accept donations for cars that are damaged or lost parts? We accept vehicles in all conditions! Go ahead and submit your request to contribute, and our Leawood team will see what we are able to do for you. Can you help me locate a non-profit organization that suits my personal principals? We would really like to assist you make sure your donation goes to your cause in Leawood you care personally about by assisting you to choose a charity that satisfies your values. It is important for us we do it every single time you give with us! Who can I donate my vehicle to in Leawood? Instant Car Donation proudly supports several respected local Leawood nonprofit organizations in your area. We work hard for you to ensure the organizaion recieves support for your car or truck. All owners around the car title must complete the part of this title tagged "assignment of title by owner" or "transfer of ownership by seller". Most states require signing and printing owner names. You need to fill out any fields that need information about a buyer/purchaser/transferee with info. You might find detailed instructions for your home state here. Will my donation be completed quickly? First we'll get in touch with the charity of your choice (or pick one for you whether you asked that instead) to make sure they want your car, such as a Honda Ridgeline, which takes around one business day. After that wewill arrange to come for you for easy pickup. When it is taking a little more time don't hesitate to give us a call. Junk is outside, simple living is in. Most of us are around our ears in stuff, and a few of us are attempting to do something about it! We are doing things like taking our garments to Buffalo Exchange or giving up on purchasing new items for the time being trying to cope with what we have. Who would have believed that some Americans would give up their homes and build miniature efficient ones rather? It is not having stuff the thing which brings us happiness. It is what we do with the things we have that matters. We could have thought of donating clothes or house products to a local charity, however we might not have realized just how much a charity, like American Academy of Family Physicians Foundation from Leawood, Kansas, might benefit from the contribution of a car, such as a Fiat Strada. If we haven't thought about it, we should have a minute to reflect on how much most charities, like American Academy of Family Physicians Foundation at Leawood, Kansas, are trying hard to make ends meet, or to finance applications which further their mission. Have you got a unneeded car, such as a AM General MV-1, taking space in your driveway or garage? Have you thought about if there is a better use on your car than just sitting there, cluttering your own space? We can assist you downsize, and also do something good for your regional community. Take a look at our website. On the pages of our site are listed thousands of charities, such as The Conservation Foundation. There's guaranteed to be just one in Leawood, Kansas or the community region which talks to youpersonally, whose assignment that you feel is worth supporting. Or, if there is a particular charity which you want you lend a helping hand to, then you can let us know the title of the charity and we'll contact them for you, to ensure that they can get your donation. Instantcardonation.org is a web site which could help you help a charity that speaks to a heart, and also enable you to simplify your life. It will not cost you anythingyou only need to take a moment or 2 to press on the donate button and then send us any information about the car you would like to donate, such as a Maybach Maybach. We will arrange a free pick-up for your vehicle in Leawood or the neighborhood region, and record on the auction to get the maximum price possible so we could produce the most donation potential for your charity of your own choice, likeJewish Federation of Greater Kansas City. Not only can you get to give your car from the heart, but you're also eligible for a tax-deduction. We'll complete your tax receipt and offer the non-profit with desired IRS paperwork as well as your contribution. Giving from the center could not be easier! Do you have a vehicle, like a Cadillac Catera, just sitting in your garage or on your driveway that you have been meaning to eliminate? A lot of us are willing to depart an unnecessary auto sitting in our garage or our driveway for years without spending the time or money to fix it. So that auto sits, and sits and stays. Let us be fair. Are we really likely to put in the time and money to fix this car? If we were, would not we have done it already? Not only is that old automobile an eyesore, but we are also overlooking the chance to use this valuable resource to aid a charity such as Trees, Water & People! 1 man's junk is another person's treasure, so they say. This is surely true with automobile donations. A vehicle, such as a Tesla Model 3, that is unneeded by you could supply just the perfect amount of funding to a charity in Leawood or outside to meet its funding for a present or future job. If you donate your car, you're giving a precious treasure to some charity, as your donation allows them to continue their important work locally. American Academy of Family Physicians Foundation at Leawood, Kansas is such a non-profit. Its call to actions is directly supported by your contribution--you can assist the charity of your choice, like American Academy of Family Physicians Foundation, to extend the breadth and reach of the good actions from the neighborhood! We pride ourselves in assisting you to convert your unwanted auto to real treasure! Click the donate button now to start the procedure. Once you let us know which you are prepared to give your car, we will arrange to get a free pick-up in Leawood or your neighborhood area and sell your car. All you want to do is let us know which admired charity meets the phone of your heart, and we will do the rest. The very best part is that if you receive the advantage of clearing out old, unneeded junk, you also get to offer funding to the charity of your own choice, like International Peace Institute, and finally, you get the most tax benefit for your contribution. We will provide you with a tax receipt for the donation, and also ensure the charity of your choice receives the contribution in addition to the mandatory IRS paperwork to take your donation.